What a great location! 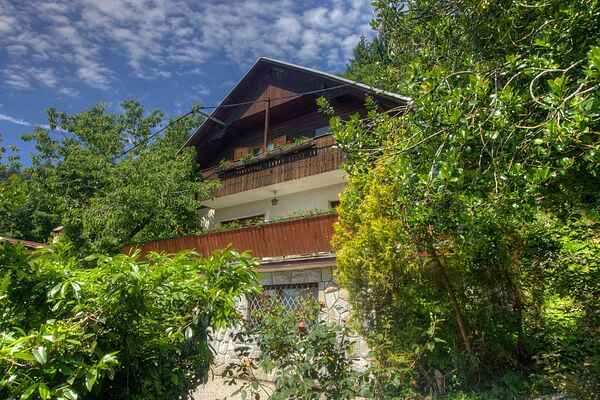 This holiday home is located on the hillside, on the outskirts of the forest and just 300 m from Lake Bled. There is a magnificent view over the lake from your holiday home! With its three large bedrooms, it can easily accommodate a large family or a group of friends. The centre piece of the holiday home is its large terrace surrounded by garden, where all the guest can relax and enjoy amazing views of the lake. The house is simply furnished, but comfortable. On the ground floor there’s a living room, a kitchen, a bathroom, a bedroom and a terrace with garden furniture, sun loungers and a BBQ. The first floor features two bedrooms, a bathroom and a small balcony wit lake view.